A new report from economic researchers BERL has confirmed the importance of the commercial fishing industry to New Zealand. 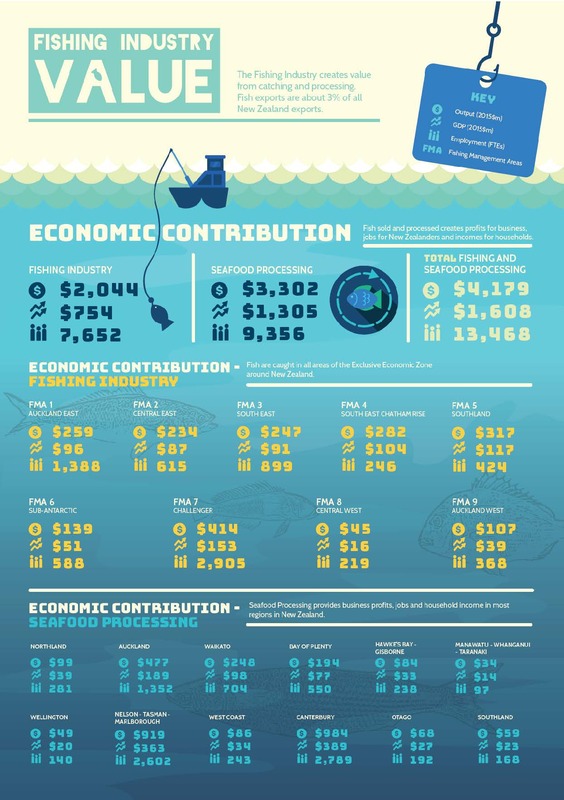 The report, The economic contribution of commercial fishing to the New Zealand economy, shows commercial fishing is worth $4.18 billion to the New Zealand economy. Chief executive of Fisheries Inshore New Zealand, Dr Jeremy Helson, said exports alone are expected to reach $2.3 billion by 2025. “Add the contribution to the domestic market through jobs, investment in infrastructure and the sectors supporting the industry and you have a significant contributor to the New Zealand economy,” said Helson. The report highlighted the value of commercial fishing to regional New Zealand. Processing alone was worth $984 million to Canterbury, $919 million to Marlborough/Nelson/Tasman and $248 million to Waikato. The report measured a five year average and showed 13,468 people were directly employed by seafood and fishing processing alone. Snapper was the top inshore commercial catch, and rock lobster and paua the highest value shellfish species. Aquaculture - which has revenue of $500 million annually - was not included in the report.